Tajikistan should adopt or amend national legislation to restrict the use of firearms by law enforcement officials as international law requires. 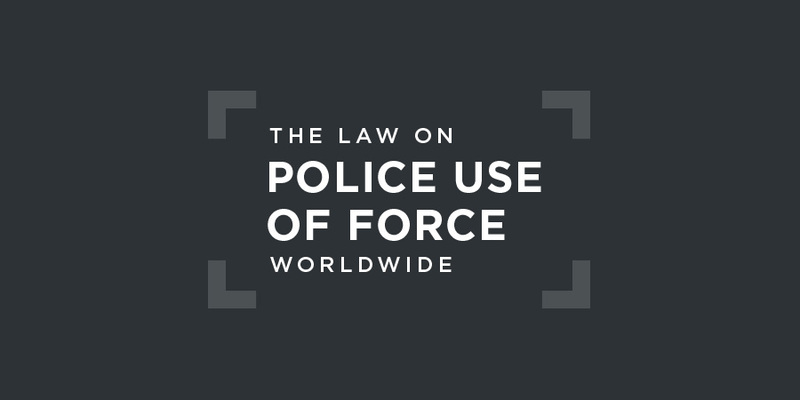 Police use of a firearm is only permissible where necessary to confront an imminent threat of death or serious injury or a grave and proximate threat to life. Life, honor, dignity, and other natural human rights are inviolable. The rights and liberties of the person and citizen are recognized, observed, and protected by the state. Article 18 guarantees that every person "has the right to life. ... The inviolability of the individual is guaranteed by the government. No one may be subjected to torture or cruel and inhuman treatment." Each citizen has the right to participate in lawfully established meetings, protests, demonstrations, and peaceful marches. No one may be forced to participate in these activities. The Constitution does not address national law enforcement agencies. Law enforcement in Tajikistan is carried out by national police under the Ministry of the Interior. In all cases where it is impossible to avoid the use of physical force, special means and firearms, a police officer shall strive, if possible, to cause the least moral material and physical harm. - to repulse the attacks of people aimed at usage of equipment or highly flammable or loose means, and this could create a threat to the peace and security of citizens, society and the State. This is more permissive than international law allows. Among other issues, police use of firearms purely to protect property is not lawful. There is no civilian independent police oversight body in Tajikistan. Under Article 28 of Tajikistan's Counterterrorism Law, police officers "participating in the fight against terrorism shall not incur liability for moral, material and bodily damage caused to terrorists as a result of legal use of physical force, special means and firearms". In its 2018 Concluding Observations on Tajikistan, the Committee against Torture expressed its concern "at allegations that torture and ill-treatment continue to be routinely practised by law enforcement officials". There is no regional human rights court with jurisdiction over police use of force in Tajikistan. Law No. 1169 of 31 December 2014 "On Assemblies, Meetings, Demonstrations and Street Rallies".